Next to working in my garden and taking as many sunbaths as possible I am spending lots of time in my studio at the moment preparing some blogs for the upcoming days when me and the team will be heading off to Spain for our next blogtour. Of course you can follow us on Instagram during our Sunny design adventures... talking about Instagram, how do you like my new Iphone case! I made it with Caseapp who kindly asked me if I wanted to design my own Iphone case and Laptop skin. 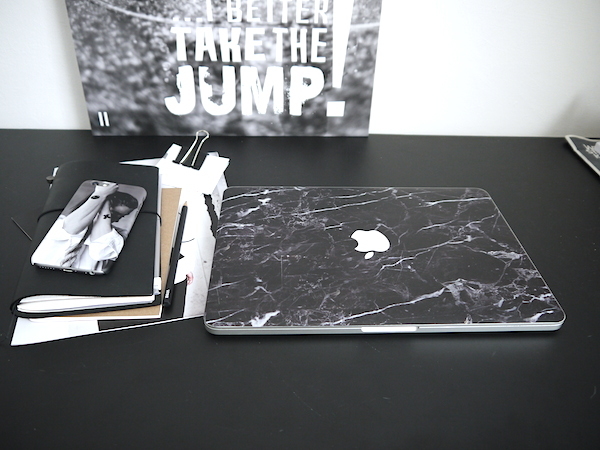 Caseapp is a Swedish online company offering high quality custom cases and skins for your cellphone, laptop or ipad. I took the opportunity to make this cute Iphone case with one of Ylva's pictures from this temporary tattoo art post. Please note: Picture used with kind permission from Ylva Skarp. Pictures are never meant to be used without permission from the copyright owners! 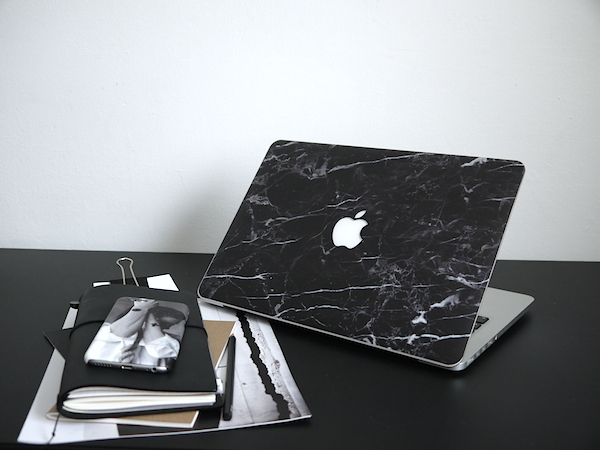 I have always loved laptops with marble skins and when searching through the pree-designed collection, I found the black marble one! I just added it to my laptop, what took me only about 60 seconds, so really easy to attach, and if I might want to remove it will leave no residue on my laptop, perfect for a change now and then. Of course you could also use your own picture or surprise someone with their personal skin. Would you like to design your own phone case or a brand new skin for your laptop with that one picture you love or made....then this is for you! 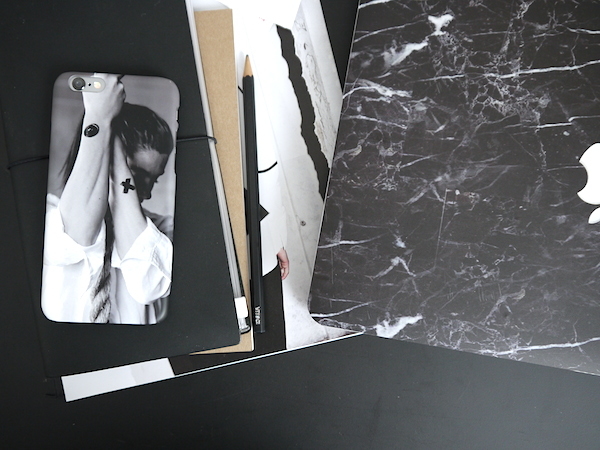 I teamed up with Caseapp and 2 readers of Vosgesparis will get one code each to design and order a lapton skin or a phone case. Simply leave a comment in this post and please make sure I know where to reach you. This giveaway will run for two weeks, enjoy!